Doug, James, Domingo and crew work to hydromulch a steep slope, but the weather moves in adding an extra challenge. Rick and Adam build a weightless post pounder to complete a couple jobs in a tight timeframe. The team has a poker tournament. In the Huwa family, traditions run deep from hair styles to competitive edge. Austin makes a video of Trey showing off his "crib" and Pepa is left in charge of the ranch for the weekend. Competition and prank wars as Corey, Tyrun and James continue to prank each other. We aslo learn about horse football and find out how good of marksmen Tonya, Kellie and Jamie are. 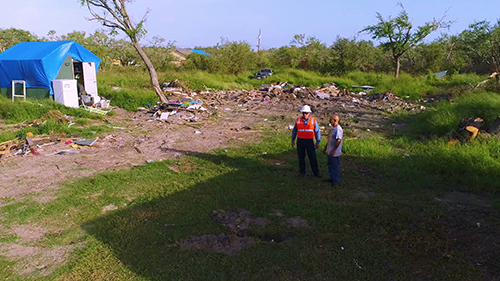 Uncle Rick takes a crew to help in the wake of Hurricane Harvey while Brent and his kids save James' house from heavy rains, and the team uses a drone to prevent rock slides in the Rockies. 4 generations of Huwas working together to get enough straw, Ryker helps Herman with new technology in the tractors. Pepa gets signed up for online dating, Ropin' Rascals, Cody's speech, and Cody taking off to college. Rodeo information, steer wrestling, bucking bull information, jackpot roping, fair, and rodeo. Brent and JW roping, WY job and getting enough equipment on the site, soft ROW challenges, Chavez and James working on being able to move more straw. Ohio job, helicopter work, and baby gender reveal. Corey visits Jay Selby and the aftermath of the Thomas Fire in CA. They get paired up with Operation Gratitude and Corey organizes for the team to stuff bears back in CO. Steve, Ryan, and Mindy work with Lyle to build a lifesize tractor logo. The grandkids and Grandpa Herman talk about his service in preparation of the O.G. event. Graham and Doug work to get a horizontal directional drill rig under the river for oil and natural gas pipeline. Brent takes over for Tonya with helping the kids with the morning ranch chores. Steve and team put on Safety Day successfully, despite the shortened preparation timeline and weather challenges. Chavez and family take the Twisted H Bucking Bulls to a competition in Castle Rock where Elijah also competes. Corey, Doug, and Rick build a roll cage for the ATV that James flipped while checking cows. Austin, Trey, and Sugs get their steers ready and show them at the National Western Stock Show. A Texas Hold 'Em tournament takes place in Tyrun's basement. 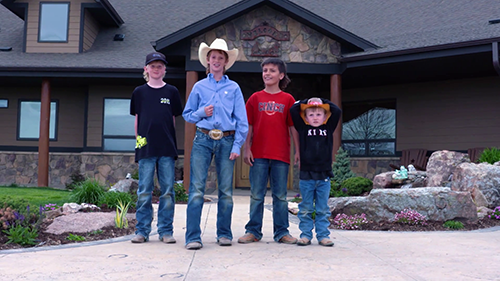 Brent and Travis head out to Montana to look at a possible job and make it back in time to see their kids show at the NWSS. Last minute projects, weather and tight deadlines are the challenge, as Corey, Doug, Rick, James and Domingo need to get El Mulcho to mulch a steep hill before an incoming snow storm. Corey, James, Rich, JW and Dan get caught up in a shooting contest. Rick and Adam build a weightless post pounder as Doug steps in to use it on his job first. Corey pranks James and gets retaliation through Tyrun. Rich, Corey, and Tyrun teach the kids how to shoot safely. Brent, Tonya, and the kids travel to Las Vegas for the NFR. The kids enjoy some friendly competition which benefits charity. Tyrun has a tight timeframe getting the hydromulcher to several jobs before he and Kelli celebrate their anniversary. Brent goes to California to follow up on the wild-fire restoration, leaving PePa to keep an eye on the house. In LA, the family visits the Compton Jr. Posse. Corey, Patty and James compete at a shooting range while Rich harvests corn. The team builds a massive culvert to keep flood waters away from a railroad. Wild fires bring Corey to California to help in the recovery. Back home, Brent, Tyrun, and James square off against their wives in a shooting competition. Restoring the abandoned mines in the mountains and beating the conditions - with Brent M., Andrew and Doug. Brent's birthday party with football on horseback and cowboy jousting. Tyrun helps Tom out by running the chopper while he's hurt, but clogs the chopper. Tyrun takes a group out to Dinner at Del Friscos to say thanks. 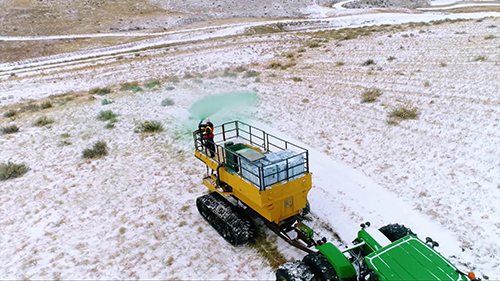 Robert goes to Golden to identify potentially dangerous rocks, explains the drone technology; dairy farm owners and vet discuss the value of silage. Cody is taking off for college; Rick is in Houston helping Hurricane Harvey victims, helps Leon clean up stumps and trash; helps Martin clear a place for his new house; clean-up efforts at the Port Aransas Nature Preserve. Growth and growing pains, office stress, clay shooting, planning for the new office building, and prank wars. Preparing for a team roping jackpot, Austin practices steer wrestling. Tyrun's family day - Ryker helps Grandpa Herman with the new tractor. The team raises funds for Victoria M.
Eastern Ohio job with steep terrain, too steep for normal operations. Rick and James work on innovation for a helicopter bucket, cutting loading time down, branding day at the ranch, and "dirty Steve's" baby gender reveal. Parade theme and float building ideas from the Huwa team of employees. Tyrun and Brent's families prepare for the fair and rodeo. Ropin' Rascals charity event, Ohio stretch with rain problems and steep terriain, and drone technology. James and Toby picking on each other, family time with drag race, concert scenes from the charity event, and Cody's speech about Kylie - Tonya and Brent's reaction is priceless. Rapid growth, new hires, training (making sure new employees are capable and can safely do the job. Carter and Doug don't mesh. Roping match between Cody/Eric and JW/Brent. WY job, permit delays, soft ROW delays, getting straw to the ROW. Chavez and James modify equipment to bring in more bales. 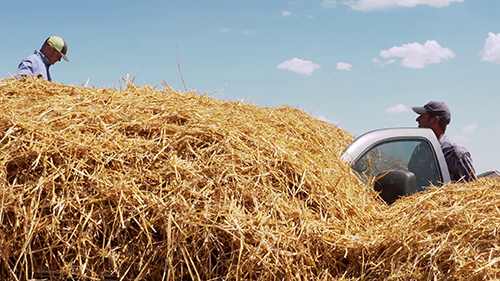 Needing more straw, the family harvests wheat and bales straw. Hayman Fire, how the companies started, and the reclamation process. WY job and mobilization, not enough equipment or people. When family comes together anything is possible!